Worse than Kolakowski’s misuse of Marx’s ouevre is his misunderstanding of Marx’s method. Kolakowski treats Marx as a curious cross between a second-rate bourgeois social scientist and a wild-eyed prophet. Marx’s use of the dialectic is treated either as a rhetorical affectation or as evidence of an appetitie for feverish pseudo-Hegelian speculation about ‘destiny’. Determined to ridicule his subject as a dogmatic false prophet, Kolakowski is incapable of appreciating the way that the dialectical method informed all of Marx’s thinking, making his concepts nuanced and contextual and open to continual refinement. Marx had no time for the static categories of bourgeois economics, just as he had no time for the dogmatism inherent in all prophecy. All of Marx’s concepts, even concepts as fundamental as ‘proletariat’ or ‘capital’, were dialectical abstractions, slices of an infinitely complex and continually changing reality. Kolakowski, though, insists on freezing the concepts of Marx and his followers, and treating them like the definitions of a dour analytic philosopher or number-crunching sociologist. Unfortunately these categories have a way of taking a static reality in the hands of revolutionaries in power. Listening to two avowed Trotskyists at the 2009 Labour History conference I was confirmed in my belief that probably the best thing that happened to ‘Trotskyism’ was Trotsky’s death. 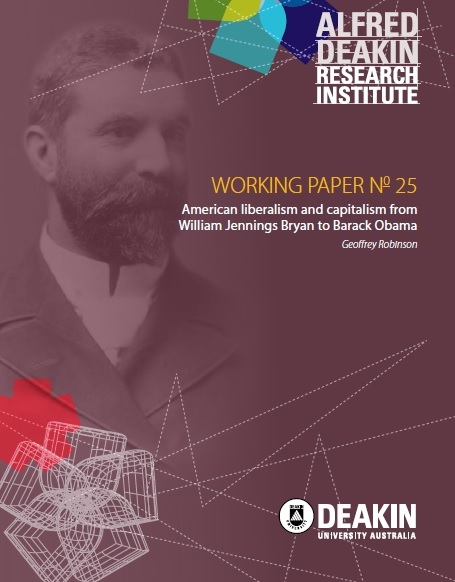 In Australia Kolakowski’s short essay ‘How to be a conservative-liberal-socialist’ stands up fairly well, and in Australia was cited by Martin Krygier. thanks for the reference, but I’m not entirely sure you understand the point I was making in the piece you quote. I certainly wasn’t passing ‘sore comments’ on the recent death of Kolakowski – my piece was written several years ago, as part of a PhD thesis on EP Thompson which was finished last year. I was examining the debate between Thompson and Kolakowski back in the early ’70s, and Tony Judt’s interpretation of that debate. Judt claims that Thompson attacked Kolakowski because the Pole did not subscribe to the tenets of the most fanatical and faddish members of the New Left. Anybody who reads Thompson’s text ‘An Open Letter to Leszek Kolakowski’, which (quite unfairly) describes the abortive 1968 revolution in France as a ‘rich kid’s revolutionary farce’ and (more reasonably) mocks Western students who wear Mao suits and grow Che beards, ought to know that Judt’s claims hold no water. Thompson, whose politics looked back to the 1930s and the Popular Front, not forward to feminism and black power and other emerging trends on the left, actually shared Kolakowski’s unease with the ‘generation of 1968′. He differed from Kolakowski, though, in refusing to walk away from his commitment to socialist politics and Marxist ideas. 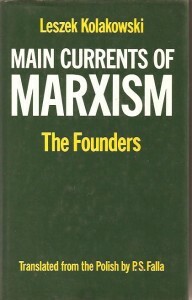 In his ‘Open Letter’, Thompson developed the notion of Marxism as a ‘tradition’ – a tradition of debate, as much as agreement. He contrasted this notion with the ‘Marxism as doctrine’ espoused by some of the more dogmatic intellectual gurus of the New Left, like the early Louis Althusser. By coining the notion of ‘Marxism as tradition’, Thompson was attempting to engage with the New Left, without necessarily endorsing all of its ideas. In the piece you have quoted I suggest that, in retrospect, Kolakowski’s understanding of Marxism seems to have many of the same qualities as the dogmatic definitions of men like Althusser. Both Kolakowski the anti-Marxist and his dogmatic Marxist opponents hold to the view that Marx’s works form a coherent, unified whole, and both Kolakowski and his targets hold that these ideas have had a decisive impact on the development of nations like the Soviet Union and China, ‘overdetermining’ the interpretations produced by the people who actually run those countries. With the benefit of hindsight, we can see that both the professional anti-communists of the West and the dogmatic Marxists who looked to regimes of the East for inspiration held to an interpretation of Marx and Marxist history that was legitimated by the Cold War, and not by the shape of Marx’s oeuvre or the patterns of communist history. Marx’s work is not unified and univocal: it is vast collection of fragments. Even Capital, which is supposed to Marx’s canonical work, is unfinished, and perhaps unfinishable. In his last decade, when he was supposed to be writing the final volumes of the work, Marx immersed himself in studies of early and pre-capitalist societies like Russia, North Africa, Polynesia, and Aboriginal Australia, and overturned many of his earlier assumptions about capitalist development and the likely location of anti-capitalist revolution. Anybody who reads the drafts of his late ‘Letter to Vera Zasulich’ alongside the first section of The Communist Manifesto can see the change that the man’s thinking underwent. Marx’s work was simplified by Engels and by members of the Second International like Kautsky, who actually suppressed troublesome texts like the letter to Zasulich. In a different but related way, the Bolsheviks also promoted a simplified view of Marx’s oeuvre, both before and after the Octber revolution. By reducing Marx’s intellectual inspiration to three sources – French Utopian socialism, German idealism, and English political economy – Lenin was able to ignore vast amounts of Marx’s writing, as well as much of his reading. If a simplified Marx suited the man’s political heirs, it also suited the anti-Marxists of the West. By treating Marx’s ideas as coherent and self-sufficient, and treating the actions of every regime which called itself Marxist as a logical expression of these ideas, they were able to make the case against the ‘God that failed’ easier intellectually, as well as more significant politically. The history of avowedly Marxist movements that took power was subjected to a similar simplification. For obvious reasons, Soviet rulers never admitted the profound differences between the policies pursued in different periods in early Bolshevik history – between War Communism and the New Economic Policy, for instance – and the incompatibility of many of these policies with texts like Lenin’s State and Revolution, let alone Marx’s The Civil War in France. In recent decades some of the more neglected parts of Marx’s ouevre have been published, translated, and circulated. Perhaps just as importantly, the Cold War has ended, and the freeze it seemed to impose on certain interpretations of Marx and of communist history has gone. Over the last three decades a series of scholars, including EP Thompson, have been able to reinterpret Marx as something other than a latter-day Moses, handing down a set of political commandments carved in stone. 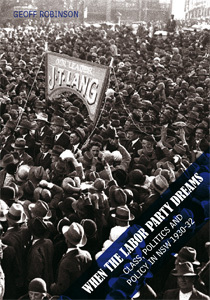 Over the last decade a succession of very innovative interpretations of communist history have appeared, including Lars Lih’s monumental study of Lenin’s What Is To Be Done?, which shows that the text had more in common with the Second International Marxism that Lenin would later condemn with such fury, and James D White’s essays on the October revolution, which show that the event was far more chancy and involved far more Mensheviks than has previously been supposed. Leszek Kolakowski liked to talk of Marxism and socialism as dogmatisms that had beem made obsolescent by the history of the late twentieth century. He was inclined to see anyone interested in Marx and in socialist politics as a quixotic anarchronism. In truth, though, it was Kolakowski who had become an anachronism with the end of the Cold War. Like the Stalinists he had so often condemned, he had adopted a worldview which relied upon an interpretation of Marx and Marxist history that was ballasted by the Cold War, rather than by facts. When the Cold War ended, and Marx was released from the rival simplifications of Stalinists and right-wingers, Kolakowski found himself with nothing interesting to say. Perhaps he should have listened more carefully to his old friend Thompson. Hi Scott,Thanks for the thoughtful comment to which I would respond to detail if I didn’t have 3 lectures to write. I point out to my students that Marx, like Adam Smith, wrote a great deal and both of them unlike say Herbert Spencer could be read in many different ways. Kautsky and Trotsky (and LK has a set against Trotsky which Jon Elster noted)were both Marxists. But what has attracted people to Marxism is the vision of a marketless utopia which either ends up as War Communism, or when this collapses as the standard central planning model. Feher’s Dictatorship over Needs describes well how this economic system evolves. Trotsky was a hero but it is no coincidence (as they said) that all of the Soviet Trotskyists ended up abasing themselves before Stalinism. david Shearer’s Industry, State & Society in Stalin’s Russia is insightful on Pyatatov et al. Hi Geoff, I think your point about the outcome of a Marxist marketless ‘utopia’ is entirely dependent on the level of technological development. Indeed I don’t see how a planned economy could have been run very successfully in early Soviet times, and I don’t think the traditional Marxist handwaving about the associated producers figuring things out amongst themselves is very helpful. On the other hand, Cockshott and Cottrell showed, certainly to my satisfaction, that modern technology makes economic planning completely feasible; it’s already implemented within large enterprises in the form of ERP systems, anyway.